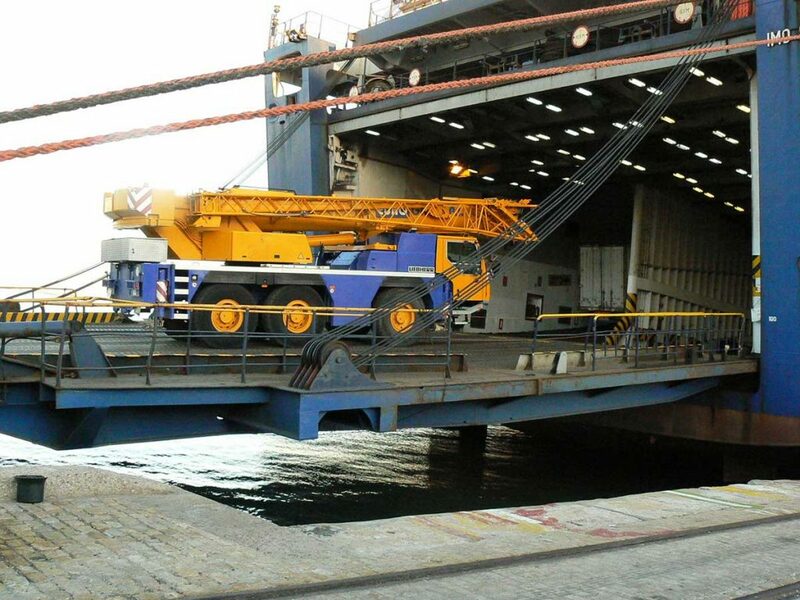 TTI, main industrial carpenter in the region order us a TEREX-DEMAG AC250. For this sale we provide a complete service. 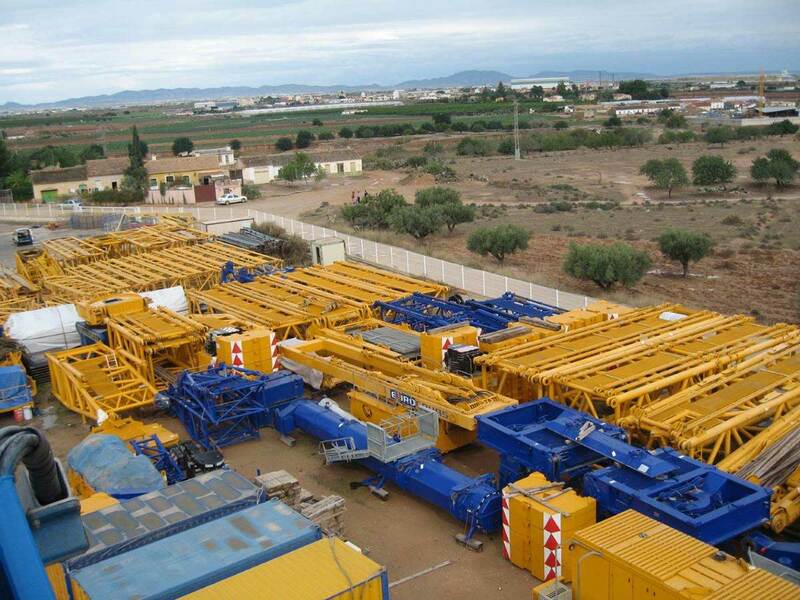 We start with the research of the crane, after we overhauled it, we supply the lifting tools, we organize transport and shipment, we train the operators and mechanics and we are in charge of the after-sale. Satisfied with our previous deal and after an international call of tenders, NOVARKA order us (INTERGRUAS 2000 and TRANSKARPATIA) the rental, 24 hours on 24, 7 days on 7, of an aerial platform. We combine the team of TINLOHI, owner of a BRONTO SKYLIFT H101SLA. 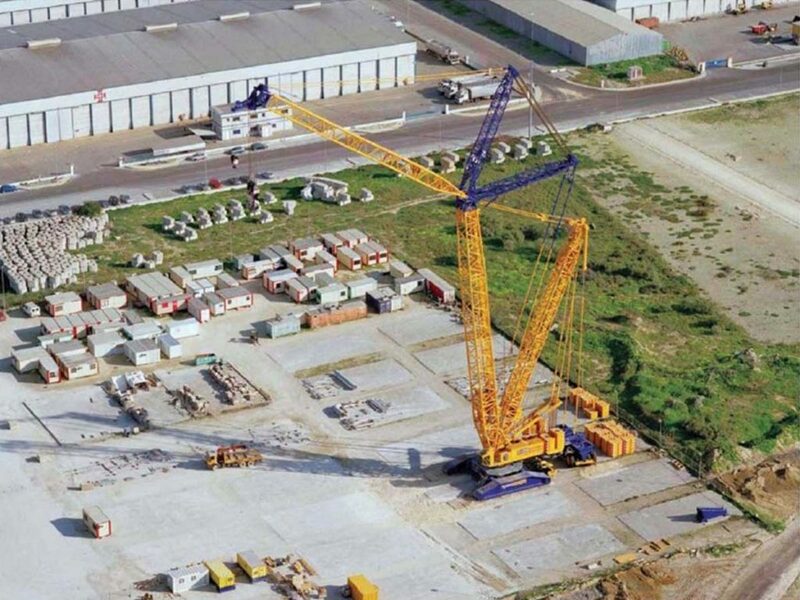 In 2015 sale FCA of a crane LIEBHERR LR 1400/2. The crane have sold in New-Zeland with the help of RIVERTEK SERVICES. 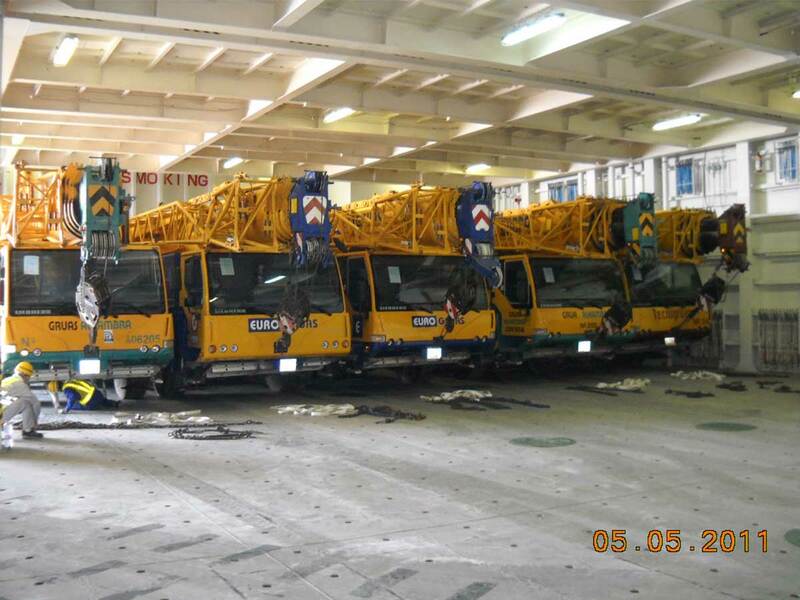 The importation rules of the country forces us to clean the crane as if it was new. 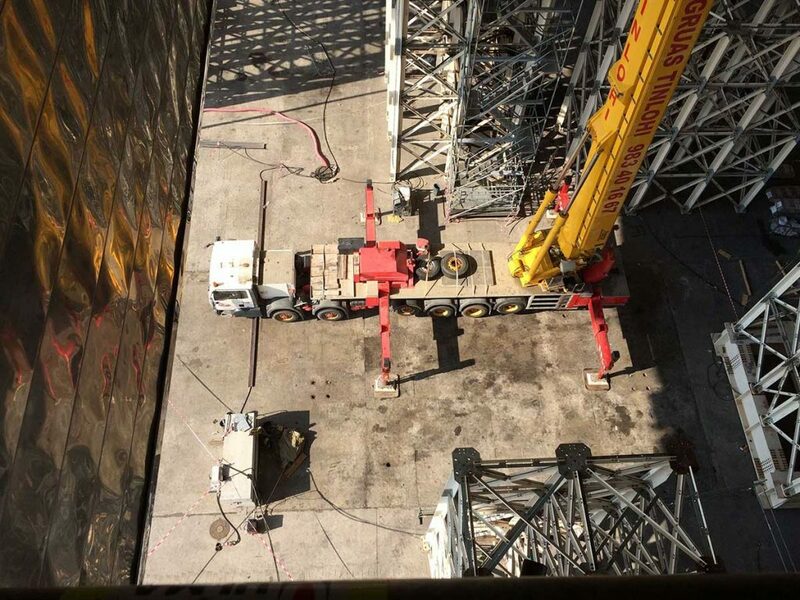 Among athers, we had to clean one by one the 3.400 holes of the 170 pads of both crawlers. 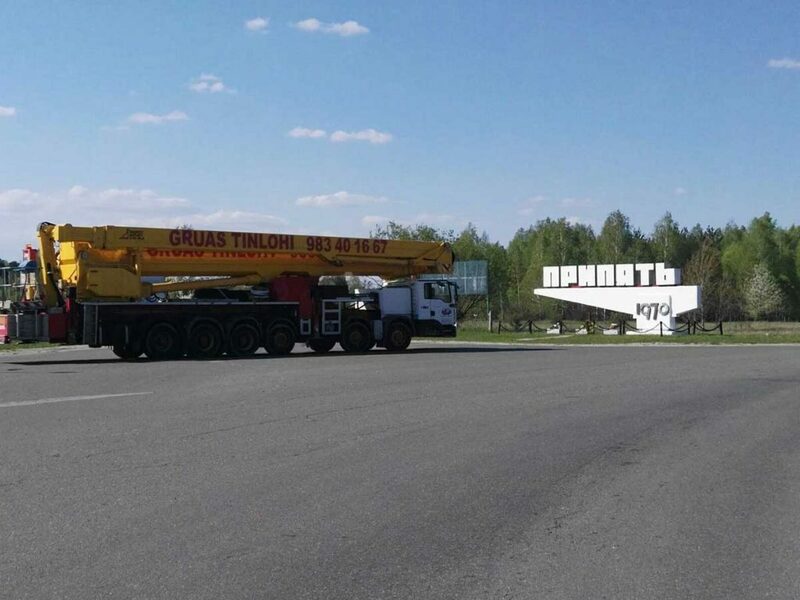 In full conflict between Rusia and Ukraine, INTERGRUAS 2000 and TRANSKARPATIA deliver in Chernobyl, a platform WUMAG WT1000. 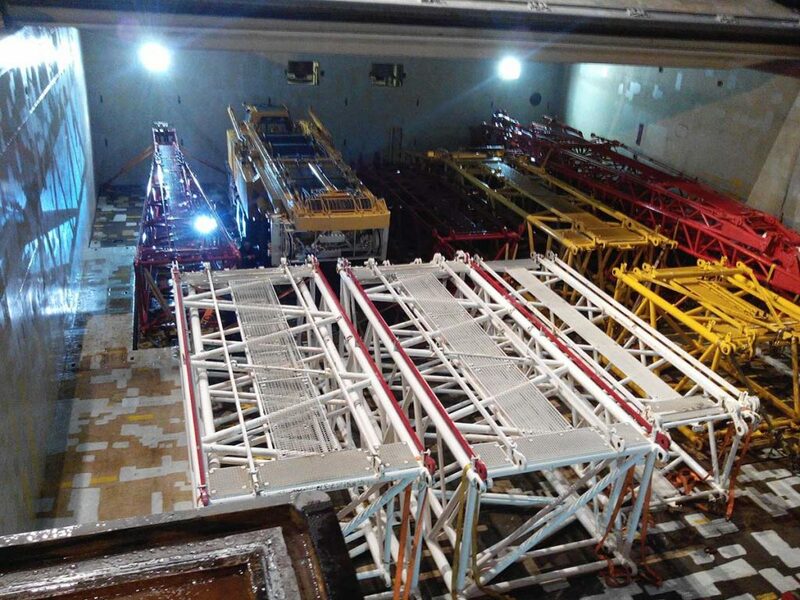 It is reserved to work on the new sarcophagus reactor nr. 4. In spite of the difficulties, we respect the schedule. 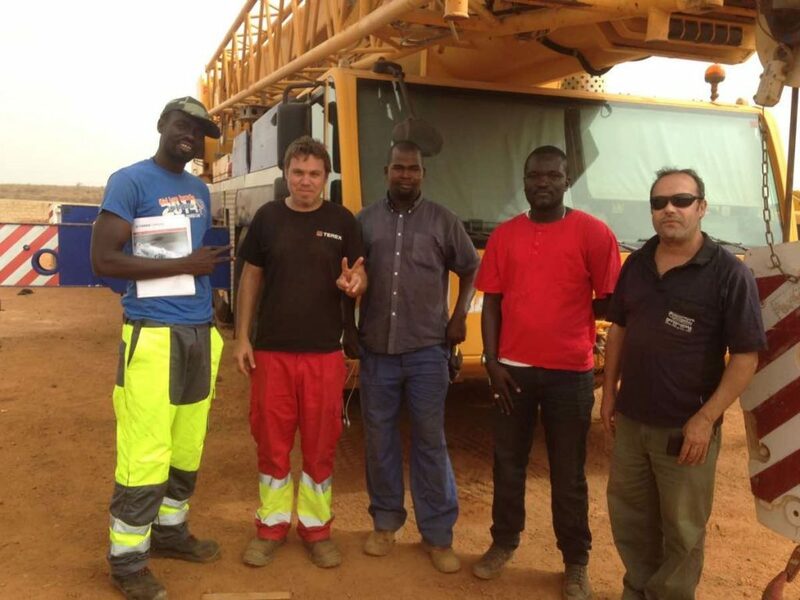 We train on site, 12 operators from 5 different nationality. 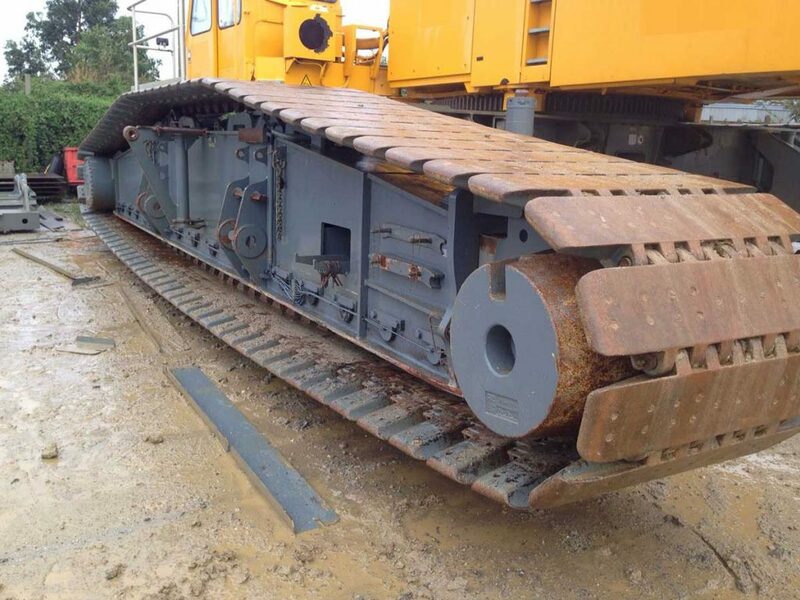 In 2013 sale FOB of a crane LIEBHERR LTM 1400/1. 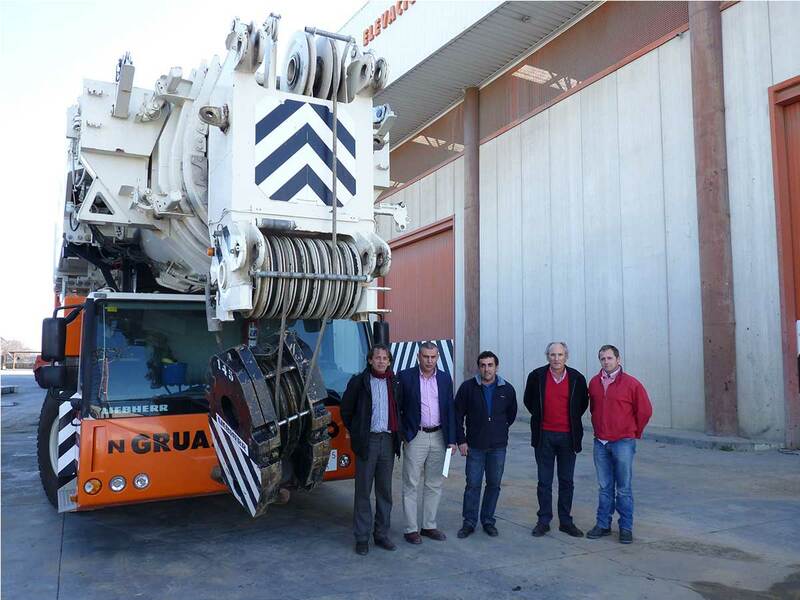 With the help of GRUAS CAPITÁN, the morrocan company STGM buy us a LIEBHERR LTM 1400/. The payment have been done by letter of credit. 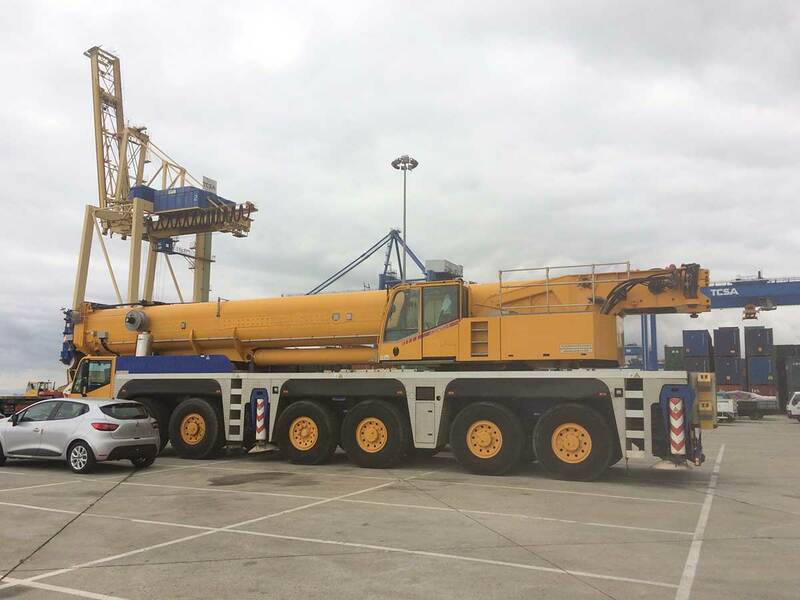 With a weight close to 2.000 ton, 98 transports, of wich 37 exceptionals, have been necesary to deliver the crane to the port of Cartagena. 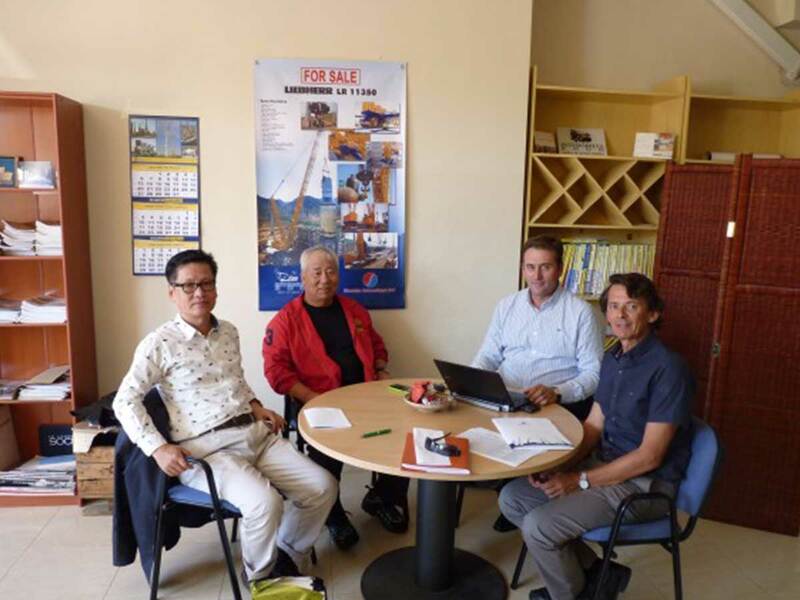 HANG CHANG congratulated the teams of INTERGRUAS2000 and EUROGRUAS 2000 for the management of the deal. The payment have been done by letter of credit. 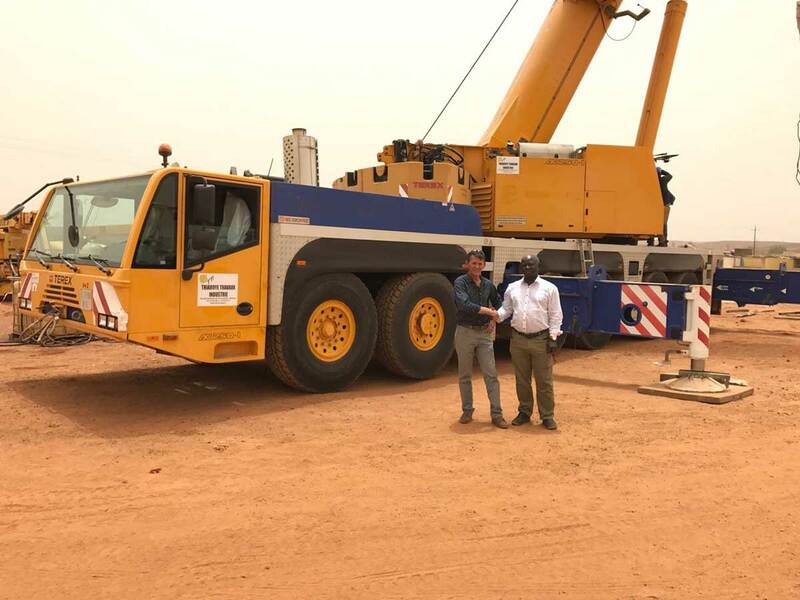 INTERGRUAS 2000 sales to MYANMAR ELEPHANT STEEL INDUSTRIES the first european mobile cranes in the country, 3 LIEBHERR, one LTM 1080/2, one LTM 1055/1 and one LTM 1030/2. 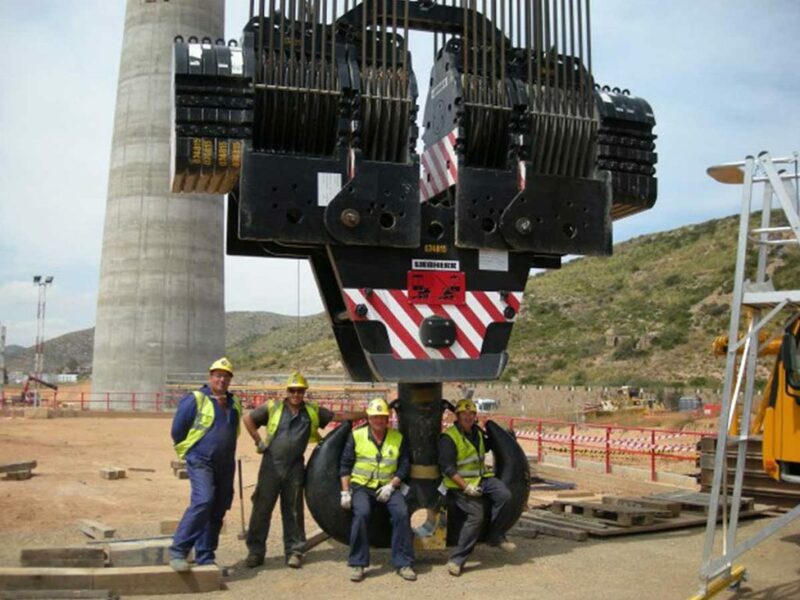 We organize in Spain, the training for the crane operators. 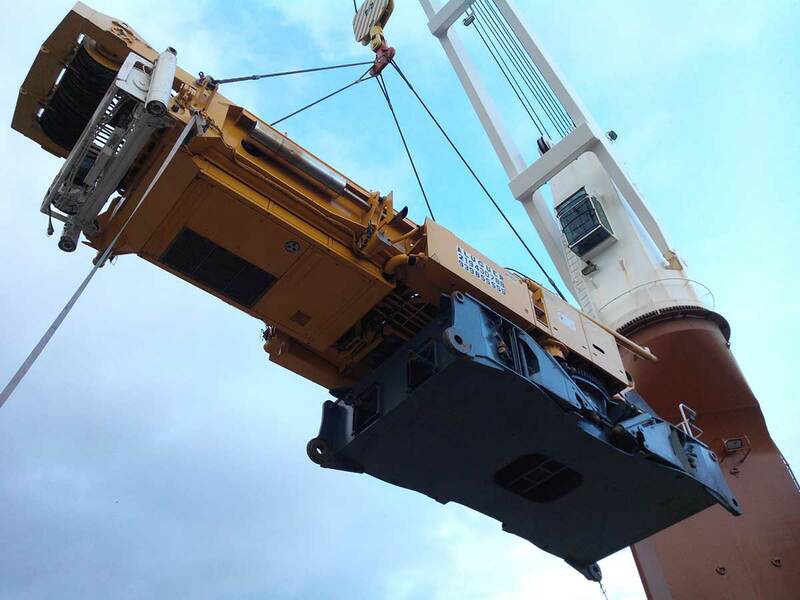 The difficulty is in the risk to realize in Singapore a transhipment with a harbour crane. 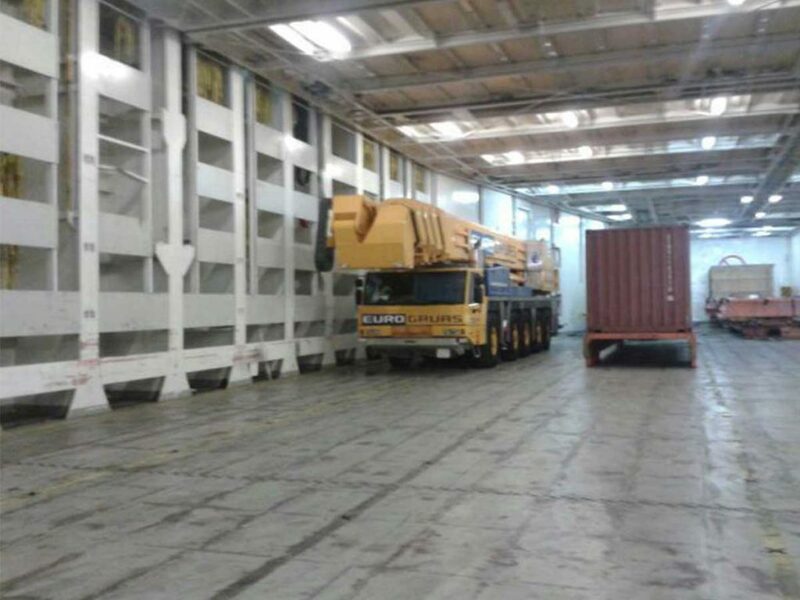 We issue a process for the stevedores. 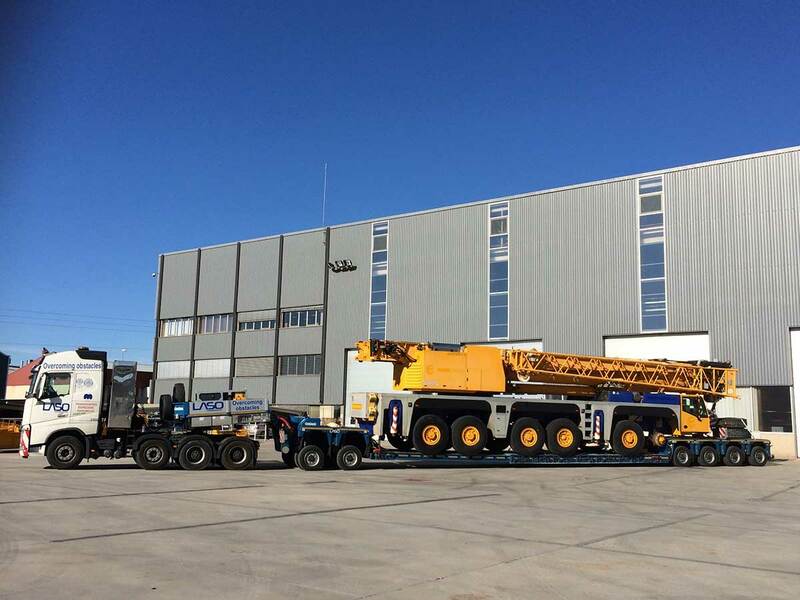 INTERGRUAS 2000 sales to SOMADIAZ 15 cranes from 30 ton to 220 ton, a LIEBHERR LTM 1220-5.1. 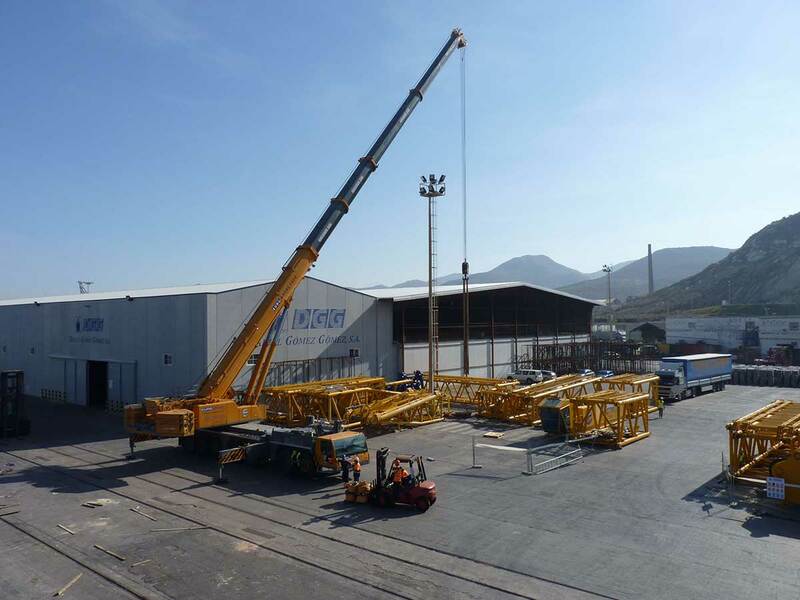 We are in charge of the negociation, the technical preparation, the delivery to the port of Algeciras, the management of the letter of credit and the training of the operators and mechanics. 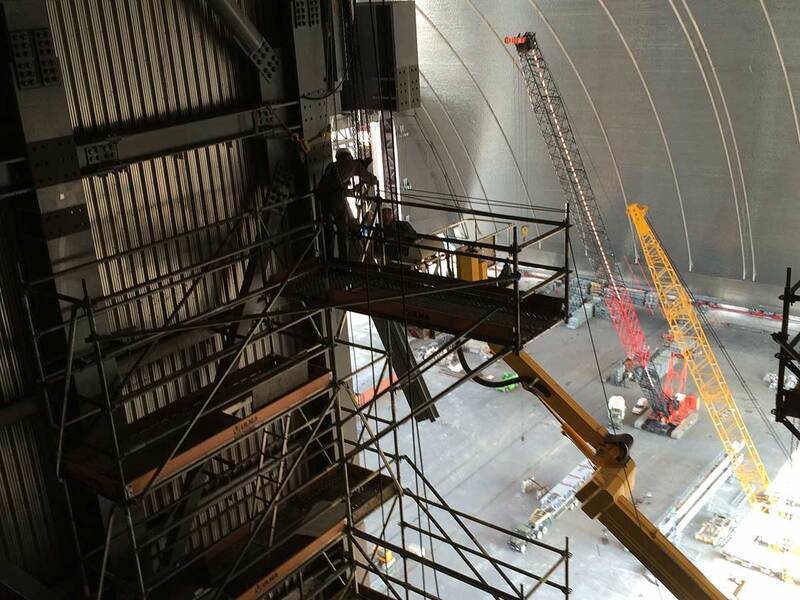 Nota: los términos EXW, FOB, FCA, CFR, CIF, DAP pertenecen a los INCORTERMS 2010. Estan establecidos por la Cámara de Comercio Internacional de Paris. Definen el lugar y el momento del trapaso de responsabilidad y costes al importador.